Japan’s Prime Minister Shinzo Abe has stressed that Japan’s Russian occupation is not removed from the Russian occupation claim on negotiations with Russia. Shinzo Abe further added that peace deal with Russia includes the boundaries of both the countries. 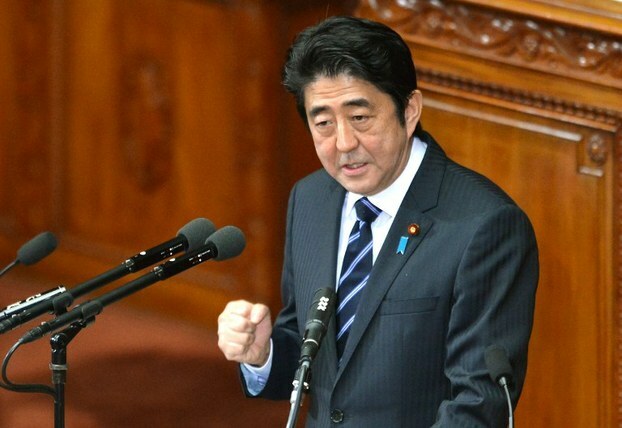 Shinzo Abe on Tuesday questioned the questions regarding the negotiations in the Japanese Parliament. A member of the opposition pointed out that in 1956, the Soviet Joint Declaration describes the reference of Habomai and Shikotan Islands. There is no mention of Kunashiri and Etorofu Islands. Their opinion was that if the negotiations were made by making the announcement, the Japanese position would be weakened on these two islands. Shinzo Abe rejected this opinion, saying that negotiations for resolving the issue are always the only four territories. It was also asked whether Prime Minister intended to set border with Habomai and Shikotan Islands only, Shinzo Abe said that the government will sign a peace agreement only after a border dispute. The prime minister refused further answers by saying that he does not want to comment on the ongoing negotiations.